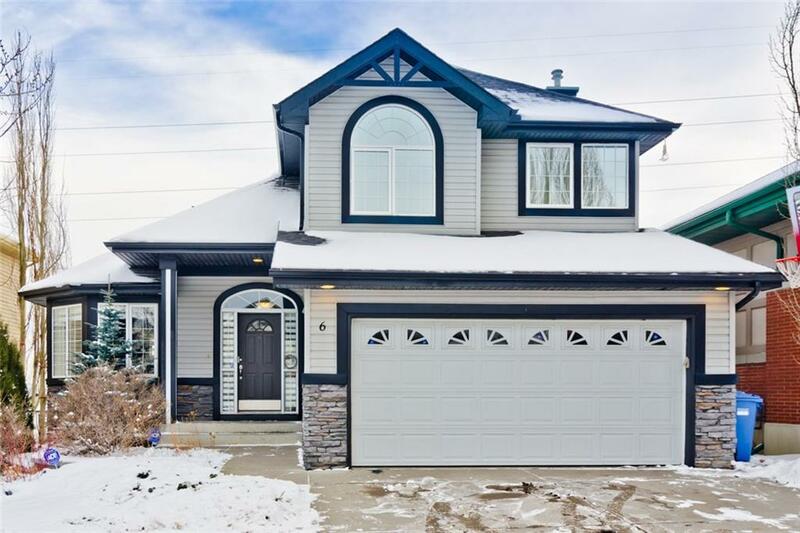 DESCRIPTION A lovely well maintained 2 storey walk out that backs onto green space with views of the city lights & skyline overlooking the Valley Ridge golf course. Take notice of the spiral staircase, lovely stone patterned floor & vaulted ceilings w/ a raised living/dining room separated by a 3-way gas fireplace. The kitchen is appointed w/ maple cabinets, SS appliances, granite countertops & maple wood flooring. The nook has 3 large windows providing lots of natural light w/ a door to the large deck. The den, laundry room & ½ bath finish off this floor. The large master bedroom w/ spa-like 5 piece ensuite w/ soaker tub overlooking the golf course/green space. 2 more bedrooms & 4 piece bath finish off the upper floor. The fully developed walkout lower level has a large rec room w/ a full wet bar inc. dishwasher/microwave, corner fireplace & built-in wall unit plus an additional bedroom & 4 piece bath. Walk out to your landscaped yard; enjoy the stone fire pit. The garage is finished, insulated & heated. A must see! FUTURE DEVELOPMENT NEAR THE COMMUNITY OF VALLEY RIDGE - The land along Highway 1 has planned development as follows: Greenwich Development – 59-acre development east of Valley Ridge (east of Stoney Trail) is being designed to accommodate approximately 1200 multi-family homes, parks, trails, an estimated 100,000 sq of boutique shopping and dining, and 200,000 sq of office space. Trinity Hills – east of Winsport will have 100 acres of land on the Paskapoo Slopes developed into a mixed-use site with retail, office and residential units. Save-On-Foods is the anchor tenant. Shape – West of Winsport to Crestmont will see 130 acres of land into a mix of natural green space, retail/commercial, office and residential spaces. Home for sale at 6 Valley Creek RD Nw Calgary, Alberts T3B 5T9. 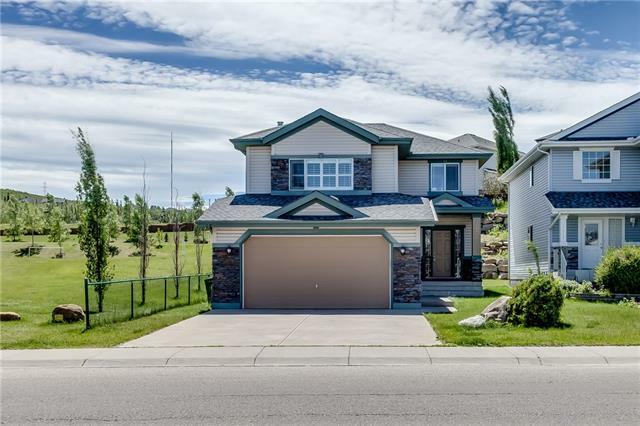 Description: The home at 6 Valley Creek RD Nw Calgary, Alberta T3B 5T9 with the MLS® Number C4220730 is currently listed at $578,888.